Dalmations make lovely Danger Dogs. These black and white charmers always bring a smile to my face. 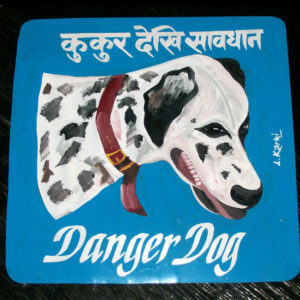 Bavure the Dalmation as hand painted by the Nepali signboard artist, Amar Shrestha. Chandra Chaudhury painted this naive portrait of a Dalmation with a flattering red background and intense eyes. Bavure the Dalmatian is hand painted by Hari Timesina. 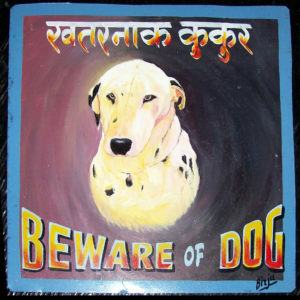 This naive portrait of a Dalmation by Lal Karki has quite a set of teeth! This sign was ordered by me to get an idea of Lal’s work. 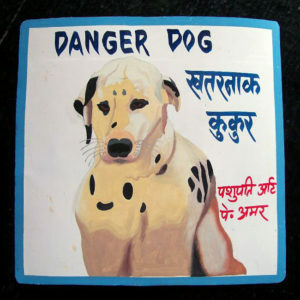 This is a classic Beware of Dog sign in the Nepali style. This painting is currently at Nomad in Cambridge. Visit NomadCambridge.com to order. 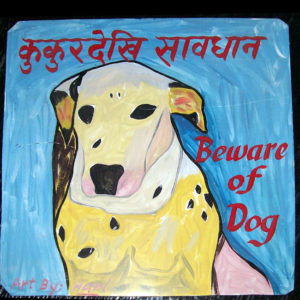 Ramesh of Om Art hand-painted this Beware of Dalmation sign on metal. 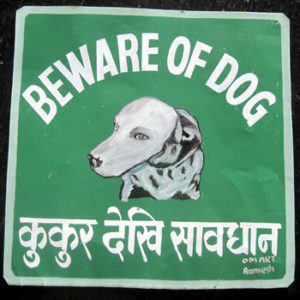 This is very much like a traditional beware of dog sign found in Nepal. 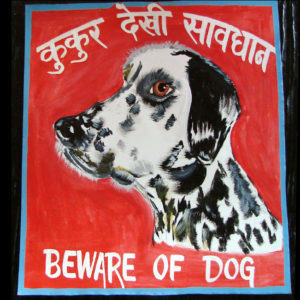 Saachin painted this portrait of a young Dalmation. 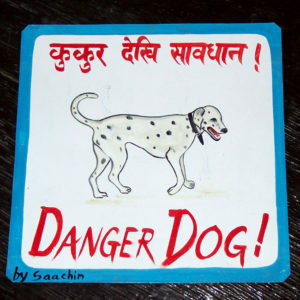 This is a classic example of the signs you might find on the streets of Kathmandu. 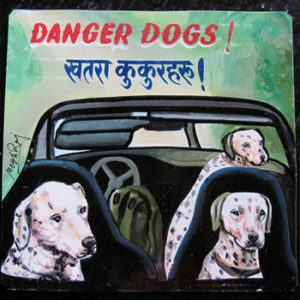 This Dalmation in a vortex was hand painted on metal by Vinosh and the lettering is by Birju Chardhury.